Just a year ago, Deseret News released the article “Why young adult fiction — and YA authors — thrive in Utah.” The article explores the culture of Utah and how it creates countless YA novel-aholics. How many writers and writing groups thrive throughout the state. How young adult fiction is gaining reputation as a genre. It even mentions that Salt Lake City sells more YA novels compared to similarly sized cities. Clearly, a pandemic of YA novels plagues Utah. (And I for one, welcome it). 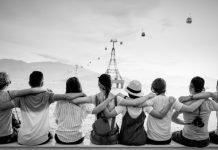 Friendship, family, choosing the right. No wonder Latter-day Saints love Harry Potter. But the article made me wonder how this all started. And why specifically YA? The article mentions how YA novels have cleaner content. Or maybe it’s because Utahns are also Harry Potter-aholics. The latter a topic not foreign to us, as we’ve published nearly a dozen articles about Harry Potter. 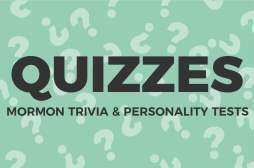 From Mormon Moments from Harry Potter, to the quiz General Authority or Harry Potter? But I think there’s more to it than that. I think there are 5 reasons why Latter-day Saints just can’t seem to put down YA novels (which makes it very hard to write when there’s a 500 page book blocking my screen). Let’s go back to Harry Potter (as one should do regularly). Each year Harry Potter must fight Lord Voldemort He Who Must Not Be Named. Harry and his friends face trials and tragedy in the series. 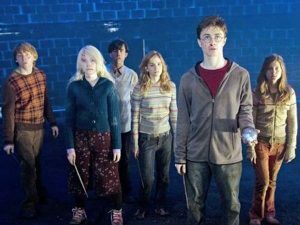 But at the end of Harry Potter and the Deathly Hallows, we see the main characters settled into a “happily ever after.” This happy ending is no stranger to YA novels. Chris Crowe, an English professor at Brigham Young University, teaches how YA novels tend to have hopeful endings. We can have happy endings. If we choose the right, we will receive salvation. Granted, this principle is called “enduring to the end.” We will still face trials, just like Harry Potter did. But through trials we improve. It’s through this growth that we can find our own happy ending. Deuteronomy. The second is “Be in the world, but not of the world.” Members believe that they need to find this space where they belong to both earth and the Kingdom of God, they need to find a balance between earthly and heavenly things, they believe that they are in this period of transition where they don’t fully understand who they are. That period of transition is what coming of age is. 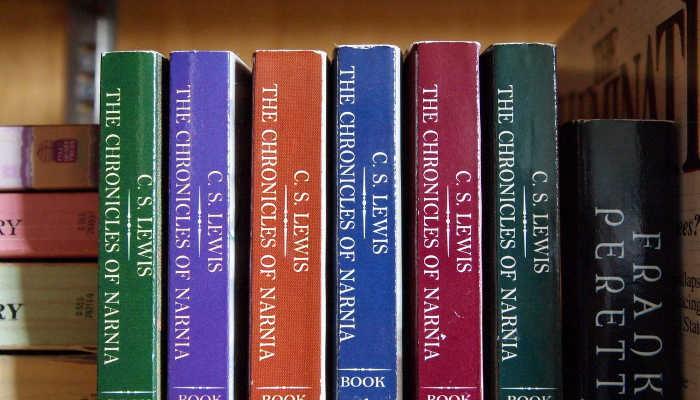 In C. S. Lewis’ series The Chronicles of Narnia, nearly every book has children entering the magical realm of Narnia. In the first novel, The Lion, the Witch and the Wardrobe, the children are Peter, Susan, Edmund, and Lucy Pevensie. They fight against the White Witch and end her Hundred Years Winter. Afterward, they rule over Narnia for many years, growing into adulthood. But at the end of the novel they return home, becoming children once again. In the second novel, Prince Caspian, the siblings return to a Narnia that they no longer recognize. Once again must discover their calling in Narnia. 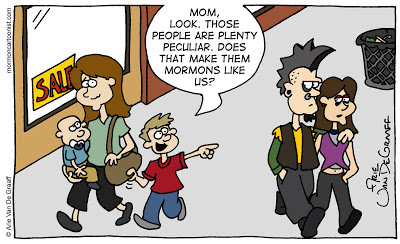 Latter-day Saints can easily relate to the Pevensies. As we strive to be in the world, but not of it, we must constantly figure out how we fit in the world. Nearly all YA protagonists go through a similar struggle. They are caught between the world of childhood and adulthood, and must figure out where they belong. 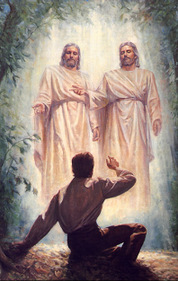 Latter-day Saints are caught between earth and the Kingdom of God. As we read about characters who struggle to find their identity, we too understand that this is a process. A process that takes time and effort, but one that ultimately helps us find our answers. Let’s play a quick game. I want you to think about a YA book series that you’ve read, where the main character was an average, run-of-the-mill person, who soon discovers that he or she is the chosen one destined to save the world? How many of you thought about Harry Potter? How many of you thought about The Chronicles of Narnia because I mentioned it in my previous point? How many other YA novels came to mind? 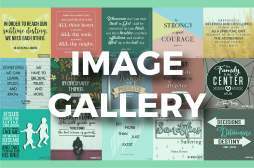 Please comment them below as I am always looking for more books to read. Thank you! Yes you are Harry. Just like every other YA protagonist. The Chosen One is a trope common to YA novels. For example, Rick Riordan’s Percy Jackson and the Olympians series is about literal children of gods and goddesses. Each book has them receive prophecies about how they will save the world in that book. Then in Julie Kagawa’s series The Iron Fey no, this isn’t just me shoehorning in one of my favorite book series so more people know about it and will read it the main character Meghan is the sole daughter of the faerie king Oberon. Meghan gets dragged into a war with a rising faerie kingdom that threatens all of Faerieland. Only Meghan’s magic as half-faerie, half-human, gives her the power to save her world. I could mention other series (Cinder by Marissa Meyer, Throne of Glass by Sarah J. Maas, Carry On by Rainbow Rowell), but you catch my drift. We believe that every person in the world is beloved by God, and as such has a divine destiny. Granted, that destiny may not be slaying dragons or overthrowing an evil kingdom. But no one is unimportant. No one isn’t as capable as the characters found in YA novels. The fact that everyone can accomplish tremendous, divine feats is central to Latter-day Saints’ beliefs. Pop Quiz Time! How can you tell if someone grew up in the Church anytime between now and the nineties? The answer: Having clear memories of hearing church leaders saying “You are the future leaders of this church” (And if any of you answered with “Having an awkward EFY crush,” jokes on you! I never went to EFY, so you failed this quiz). In a devotional held at Brigham Young University, President Nelson stated this to the youth of the Church: “You are the future leaders of the Lord’s Church! Are you ready to take the reins of leadership?” That invitation can be a little daunting. Many young adults, myself included, feel like their lives are completely out of control unsure of their own capabilities. Telling them that they will be at the forefront of the Church can be intimidating. 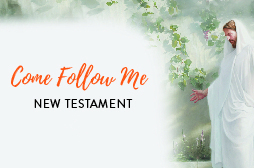 How can they lead the Kingdom of God when they don’t even know how to manage their own lives? 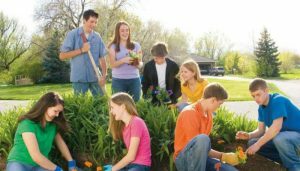 One of the core beliefs of The Church of Jesus Christ of Latter-day Saints is the Restoration. That Jesus Christ called Joseph Smith as a prophet of God to restore His church on earth. While the entire process took years, even after Joseph Smith’s death, it started in Smith’s youth. He was confused which church held the truth. This confusion led to him praying to find the true church—and that prayer led to the First Vision. This is the man who “has done more, save Jesus only, for the salvation of men in this world, than any other man that ever lived in it.” He was only fourteen when he started on this path. One of the foundations of The Church is that young adults can change the world. Many people don’t like young adult fiction because they find it unrealistic; the endings are hopeful, the main character is “the chosen one,” young adults really can’t change the world like they do in books. But that’s what we believe in. 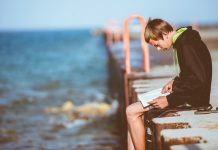 Whenever a member picks up a novel where it shows a young adult changing the world, leading and inspiring others, fulfilling their divine destiny, and finding their happy ending, we know that’s a reality for everyone. 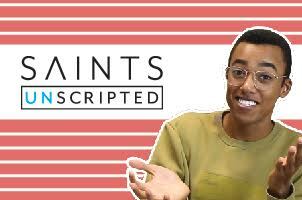 In addition to being an intern with More Good Foundation, Braxton Young Church is studying Creative Writing at BYU. He also volunteers writing book reviews for BYU's Children's Book and Media Review, has been a YA Novel-aholic for the past ten years, and is always looking for his next book to read (feel free to comment with book recommendations). He's a member of Witness Music and loves performing in choirs, musicals, and plays, as well as a proud Hufflepuff.